This policy discusses undergraduate and graduate student records as kept by the Office of the Registrar and elsewhere by the university. The Official University Student Record (OUSR) is discussed, including its definition, content, and accessibility, and the release of information either in written form or through electronic methods. Waterloo Lutheran Seminary retains its own records in accordance with the Articles of Federation. A. To define and specify the content and responsibility for maintaining the OUSR. B. To define the right of access to the OUSR. C. To protect the integrity of the OUSR. D. To protect the rights of students and the confidentiality of the OUSR. For the purpose of this policy, a student means a person who is or has been registered by the university in a course or program approved by the Senate. The OUSR includes all academically-related information about a student, that is collected and/or retained by the university in hard copy and/or electronic form. The Student Physical File is the collection of hard copy documents related to the OUSR. l. Sanctions imposed for academic or non-academic disciplinary purposes, including the reason or reasons for the sanction or sanctions, the period the sanction is in force, and the nature of the offense. Normally the reason stated would be "academic or research misconduct" or "breach of the student code of conduct". Further information would be presented on the nature of the offense. All information about a sanction is to be removed from the file and sealed in an envelope once a sanction has expired. m. Other information as deemed appropriate. Note: Materials submitted in confidence, such as letters of reference, though part of the OUSR, are to be retained in a sealed envelope within the file. They are accessed only with the authority of the registrar, appropriate dean, or official designate(s) or by the individual who initiated the document. The Student Electronic File is the primary student record. Materials submitted in confidence are excluded. n. Sanctions imposed for academic or non-academic disciplinary purposes, including the reason or reasons for the sanction or sanctions and the period the sanction is in force. Normally the reason stated would be "academic or research misconduct" or "breach of the student code of conduct". All information about a sanction is to be removed from the record once a sanction has expired. o. Other information as deemed appropriate. The official university transcript presents information on students' academic performance and status. It includes course registrations and descriptions, course credit weights, course grades, and degrees or other qualifications awarded. The transcript also includes any sanctions imposed for academic or non-academic disciplinary purposes during the period a sanction is in force. The reason for the sanction and the time period the sanction is in force are included. Normally the reason stated would be "academic or research misconduct" or "breach of the student code of conduct". Information about a sanction is not included on a transcript once a sanction has expired. A. The Office of the Registrar and the Office of the Dean of Graduate Studies and Research are responsible for the development (including the formulation of policies, regulations and formats), maintenance, and control of undergraduate student and graduate student records, respectively. B. Records or parts thereof may be held by Faculties or departments with the written authorization of the Office of the Registrar or the Office of the Dean of Graduate Studies and Research. Student data and related documents are not to be held without authorization. C. Maintenance of records or parts thereof may be delegated to Faculties or departments by the Office of the Registrar or the Office of the Dean of Graduate Studies and Research. D. The release of student academic data, such as grades and letters of standing, is the responsibility of the Office of the Registrar and the Office of the Dean of Graduate Studies and Research or authorized delegates. E. The Office of the Registrar is responsible for issuing an official transcript upon submission of the proper signed form and payment. F. The Office of the Registrar is responsible for the release of all student electronic data for official government reporting. Information received by the university in support of a student's application for admission, all of a student's academic and other records, and examination papers and other materials submitted by a student as part of his/her course, program and/or degree work is the property of the university. a. Information submitted in confidence, or assumed to have been submitted in confidence to the university such as a letter of reference. e. Where it is medical or health-related information where the disclosure could reasonably be expected to prejudice the mental and physical health of the individual. Copies of all of the contents of the physical file may be given to the student, if requested, except for materials submitted in confidence and documents listed in IV.A.2. The university will retain the original documents. a. Review the contents of their own electronic and physical record (except for those parts exempted in IV.A.2.) in the presence of a University official subject to making a prior appointment with the Office of the Registrar or appropriate dean's office. A student may request correction of any entry in his/her record if reasonable proof can be provided to substantiate the error. Corrections will only be made once the registrar or dean of graduate studies and research has approved the requested change. b. Require that a statement of objection be attached to the information reflecting any correction that was requested but not made. Access to the file may be restricted and academic documents such as grade reports, transcripts or diplomas may be withheld from student access or from external distribution if there are funds owing to the university by the student or if his/her academic status is under review or appeal. Access to the OUSR physical or electronic data is permitted by duly authorized members of the university faculty and staff who, by virtue of their assigned responsibilities, require such information (vice-presidents, offices of the deans, graduate officers, chairs of departments, advisors, instructors, student services divisions, and administrative support staff). Approvals for access to the Student Electronic File are issued by the registrar or authorized designate upon receipt of appropriate authorization from the appropriate dean or vice-president. A request form must be completed and sent to the registrar demonstrating the need of the faculty or staff member to administer/maintain records and/or monitor/advise students on a regular basis. Student information authorization lists will be forwarded to each dean/vice-president at the beginning of each term to be approved and returned to the registrar. Password access codes will be changed on a regular basis. Access to related information such as student awards and scholarships will be restricted to those dealing with such matters and the Business Office when dealing with student financial matters unless authorized by the director of student awards and the vice-president: academic. Those accessing student records must ensure the appropriate security and confidentiality of student information as detailed in this policy. Student record data may be accessed and released for authorized research purposes without the prior approval of the student, provided that the student's identity is not revealed and cannot be derived from the information released. In all cases, a request must be approved by the registrar, the dean of graduate studies and research (if graduate student records), the Research Ethics Committee or Administrative Ethics Committee, and the vice-president: academic. The university has the right to review the results of any such research and to make comments prior to publication. Official student organizations may request lists of student information in aggregate form, restricted to names, addresses, and telephone numbers, for purposes of communicating with their members; provided they undertake, in writing, not to release the information to a third party, to permit students to have their name deleted after giving public notice, and not to make use of the information for commercial purposes. This category includes all other access, including that of other educational institutions and agencies and government departments and agencies, employers, spouses and parents. The records of all students are confidential and the university reserves the right to make final decisions with respect to the release of student information. Upon the presentation of an official court order or subpoena directing the university to release information. Provision of last known address to collection agencies specifically charged with the recovery of monies owing to the University or funds provided under the Ontario Student Assistance Programme or Canada Student Loan Plan. For the purpose for which the information was obtained or compiled. Where disclosure is necessary to aid in the investigation of allegations that individuals have committed criminal offenses, or made false statements, or engaged in other misleading conduct such as misrepresenting their attendance or performance or status within or completion of an academic program of the university. Where disclosure is made to another educational institution or to a professional licensing authority or board of certification or similar institution, provided that the university has made reasonable efforts to inform affected individuals of the existence of a practice to make such disclosures. In compelling circumstances affecting the health or safety of an individual if upon disclosure notification thereof is mailed to the last known address of the individual to whom the information relates. In compassionate circumstances, to facilitate contact with the next of kin or a friend of an individual who is injured, ill, or deceased. To a person who, where the individual to whom the information relates is incapacitated, has been authorized by the next-of-kin or legal representative of that individual. The restrictions on disclosure do not apply to disclosure of the fact that an individual is or is not, or was or was not, registered in a particular Faculty, School, or other division in a particular session; or to the fact that an individual has or has not successfully graduated or completed a program on a particular date or has or has not received particular academic or other university honours or distinctions. Other information as approved by the president. Such files are retained by the Office of the Registrar or the Office of the Dean of Graduate Studies and Research or faculties and departments designated to do so. The Student Physical Files retained by the Office of the Registrar, Office of the Dean of Graduate Studies and Research and faculties are subject to all rules and regulations contained in this policy and/or contained in the Articles of Federation with the Seminary. Source documents are to be held for the duration of the student's enrolment. Upon departure from the university (following graduation or withdrawal) documents for former undergraduate students will be held for five years and for former graduate students for eight years. At the end of the relevant period following the departure of a student from the university, all documents contained in the Student Physical File are destroyed unless there is a need to retain the materials. 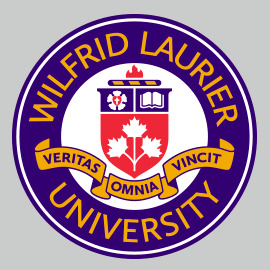 Former students whose files have been destroyed and who wish to register at Laurier will be required to re-apply for admission and supply such documents as required by the Office of the Registrar or the Office of the Dean of Graduate Studies and Research. The Student Electronic File is to be maintained and held permanently for the preparation of official transcripts and related information. The Office of the Registrar is responsible for arranging for and ensuring that there is adequate back-up and safe and secure storage of the OUSRs.